Wear your heart around your neck with this Monica Rich Kosann necklace. 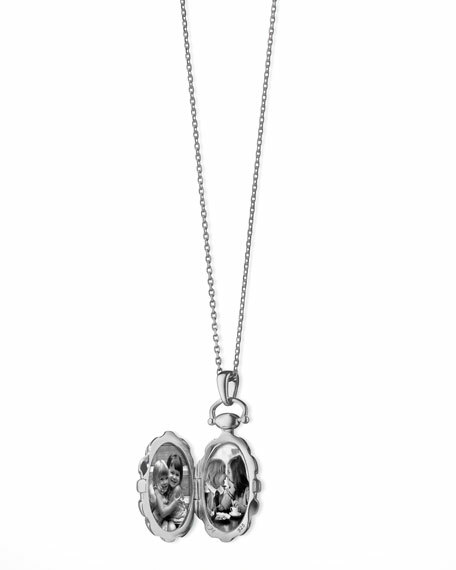 The intricately carved bright sterling silver locket features two spots to hold pictures of your nearest and dearest. 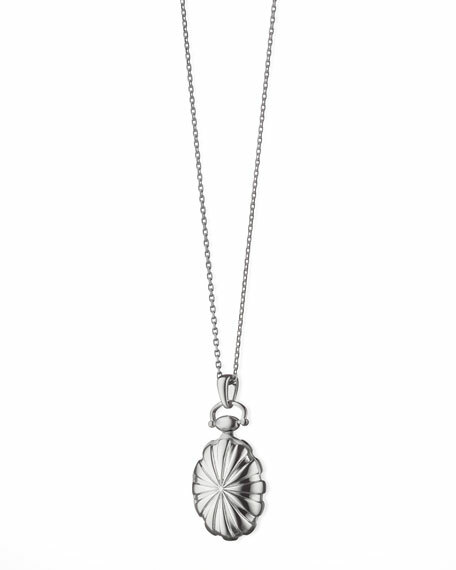 Ippolita long disc necklace from the Senso™ Collection. Signature hand-hammered sterling silver hardware. Mixed oval and rectangle discs with imprint finish. Approx. 34.5"L. Lobster clasp. Imported. 18K Yellow Gold "Adventure" Poesy Ring, size 7. 18K Yellow Gold and Sterling Silver "Silver Lining" Poesy Ring, size 6. 18K Yellow Gold "Adventure" Poesy Ring, size 7. 18K Yellow Gold and Sterling Silver "Silver Lining" Poesy Ring, size 6. Sterling Silver with Black Rhodium Evil Eye "Protect" Poesy Ring with center turquoise and white sapphire stones, size 4. 32" Black Steel Chain. 18K Yellow Gold Snake "Never Fear Poesy Ring with Ruby eyes, size 3. 0.018 total ruby carat weight. Sterling Silver and White Sapphire "Dream" Poesy Ring with Black Rhodium, size 6. Sterling Silver "Carpe Diem" Poesy Ring, size 4. 32" Sterling Silver chain with loop at 30".